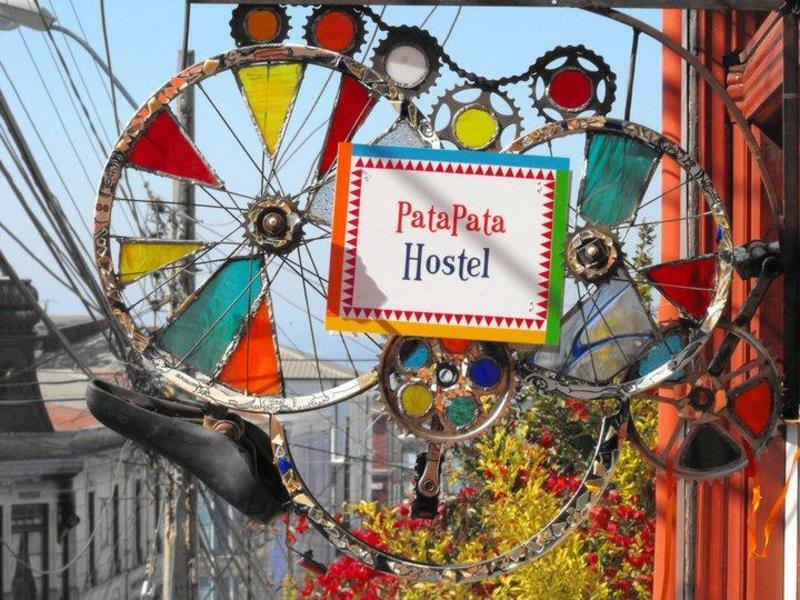 PataPata* Hostel is situated in one of the most central and historic areas of Valparaíso, Cerro Alegre, a short distance from the most important and interesting attractions of the city, with great transportation options dropping you practically right at our front door. 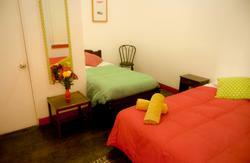 Our hostel is equipped with three full bathrooms with hot water available 24hrs. Also Three common areas (living, dining and patio) and free use of the kitchen. 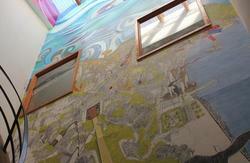 PataPapa Hostel is managed by the owners Alejandro and Karin, a family of Porteos*. We've decorated while paying attention to our guest and their suggestions left in our guestbook, blending typical characteristics of our family life. All this with the aim of offering the best stay in one of the most picturesque, culturally rich, Patrimoniales***cities in Latin America. We hope you feel at home while having fun making new friends in the intimate atmosphere of our lovely hostel that's been constructed with thoughts of you. 1. By city bus: Exit the bus terminal's main entrance (Congreso Nacional bldg will be in front). 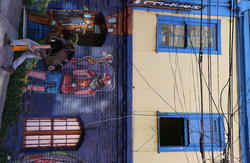 By walking, take a left onto Pedro Montt street and continue until you get to Argentina street (1 block and a half). Take the city bus number 612 (also known as the 'O'). After approx. 10 minutes you'll start to go up the hills. 10-15 minutes later, get off at 'Plazuela San Luis.' Walk three blocks and a half down the hill towards the bay on 'Templeman street. You'll pass a large church called 'Parroquia San Luis Gonzaga' on your left. Continue walking down steps until you get to Templeman street, on the right side. You'll easily notice our sign. 2. Walking: Exit the bus terminal's main entrance (Congreso Nacional bldg will be in front). Take a right onto Pedro Montt and walk for approx. 30-40 minutes going through the center of Valparaiso until you reach plaza 'Anibal Pinto. Walk up the hill along Almirante Montt street (staying to your right). Take a right onto 'Urriola' street. After one block take a left onto Templeman street. Go up the steps on your left hand side. We're the fourth house up, on the left with our sign. 3. Taxi: Exit the bus terminal's main entrance (Congreso Nacional bldg will be in front). Taxis are usually waiting along Pedro Montt street. Ask a driver to take you to the corner of 'Lautaro Rosas' and 'Templeman' streets atop 'Cerro Alegre.' A taxi fare from the bus terminal is approx. $3500 to $4000 Pesos Chilenos. When you exit the taxi, walk down the steps on the right side of Templeman street.